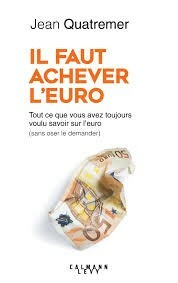 While the European currency celebrates its 20th anniversary, Jean QUATREMER, journalist at Libération, author of the blog “Les coulisses de Bruxelles” and a recognized specialist in European affairs, has just published his latest book with Calmann Lévy. It engages in a thorough analysis of the history of the euro and the economic distortions in the EU that command a choice: to complete or do away with the Euro. Invitation conference 03/06/14: Preventing visible and invisible violence in the playground!